Although IRS rules on IRA transfers between ex-spouses pursuant to divorce haven’t changed, the practical application of those rules by IRA custodians has evolved dramatically in recent years. The unfortunate result for divorcing couples includes delayed transfers, increased frustration and, in some cases, unanticipated professional fees to untangle the mess. Pursuant to IRC 408(d)6, IRA transfers incident to divorce and pursuant to a Court-ordered decree are a non-taxable event for the owner spouse and the recipient spouse. However, we’ve noted two new problems: a growing number of IRA custodians are requiring QDROs to transfer funds, and others are requiring overly complex Letters of Authorization. Why Is It a Problem if a Custodian Requires a QDRO or a DRO? Easy answer: unanticipated costs and delays for the parties. QDROs are the legal documents used to divide qualified employer-sponsored retirement assets that are covered by ERISA (The Employee Retirement and Income Security Act). Whereas an IRA transfer should be a relatively inexpensive procedure, QDRO preparers charge fees in the range of $400-$750 per QDRO. Each document should be tailor-made for the case at hand and include provisions that Plan fiduciaries require so that the transfer of qualified plan funds doesn’t violate ERISA’s anti-alienation clauses. In addition, QDROs must be signed by both parties and entered with the Court, which generally requires the services of an attorney. Why Is It a Problem if a Custodian Requires a Detailed Authorization Letter? In certain circumstances, this can actually be more problematic than preparing a QDRO on an IRA account. Many IRA custodians now require a detailed letter signed (and sometimes notarized) by both parties that details how each holding should be transferred. Suppose the parties are attempting to transfer an IRA pursuant to a divorce that occurred several years ago. 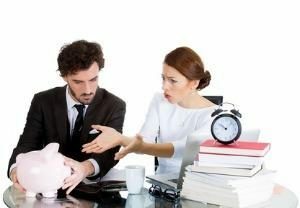 The IRA account owner isn’t feeling cooperative and won’t (or can’t) provide a detailed account statement as of the date of divorce. Even worse, what if the divorce decree stated that several IRA accounts were to be equalized with one IRA transfer letter? That requires collecting various (often old) account statements from both parties. What if the IRA account was transferred to a new custodian? The end result is often a trip to the attorney’s office to determine what measures can be taken to enforce the divorce decree. What Can Attorneys & Financial Professionals Do To Avoid These Problems? First and most important, while the divorce is pending, contact the custodian to determine what’s needed to process a transfer. It goes without saying that it might be difficult to find the person or department that knows the answer to that question. Be persistent. Second: Enter the Letter of Authorization/DRO on the same day as the divorce decree, or as soon as possible. Once the divorce decree is entered, there is less incentive for everyone to cooperate. Lastly, follow up with your clients to confirm the transfer occurred. Beneficiary designations take precedence over language in divorce decrees. Timing for IRA transfers, therefore, is critical. After the divorce, the IRA owner has the ability to alter beneficiary designations to disinherit the ex-spouse. It also may be beneficial to consult with a QDRO preparer or divorce financial professional before reaching an agreement. They often know which custodians are “easy” to work with and which ones can become problematic. Above all else, don’t fall into the “It’s so easy to transfer an IRA” trap!